Based on the original PT-1, the model that started it all, the Classic 1 features Pedaltrain’s original four-rail design and traditional rail spacing. The Classic 1 should be familiar to you. Based on the original PT-1, the model that started it all, the Classic 1 features Pedaltrain’s original four-rail design and traditional rail spacing. However, the Classic 1 has been updated with an open front design (portholes are history) making power supply mounting more flexible and convenient. The elevation has been raised by approximately 1 inch to clear a wider variety of power supplies and switching systems. 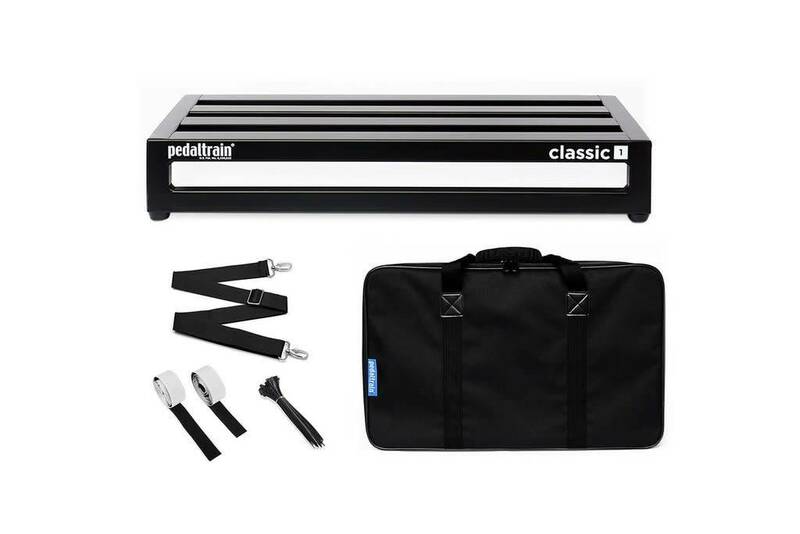 Classic 1 is available for purchase with Pedaltrain’s fitted soft case (featuring a heavy-duty metal zipper and reinforced stress points).